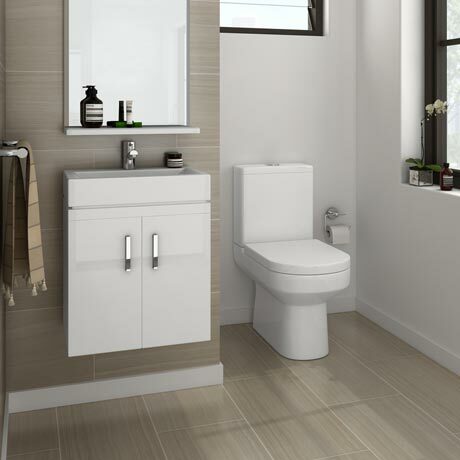 The stylish Nova high gloss white wall hung basin unit with the contemporary Harmony close coupled toilet. A modern compact suite for smaller bathrooms or cloakrooms. Make the most of your bathroom with our practical and attractive furniture options. All white gloss vanity units feature a high quality ceramic basin. The Harmony close coupled toilet, comes complete with a soft close seat. The Harmony range is designed and manufactured by leading bathroom brand Premier. This product features a dual flush cistern for improved water consumption.